My Windows 7 computer is stuck in a Windows Update loop! 154. My computer has got a virus! What do I do? 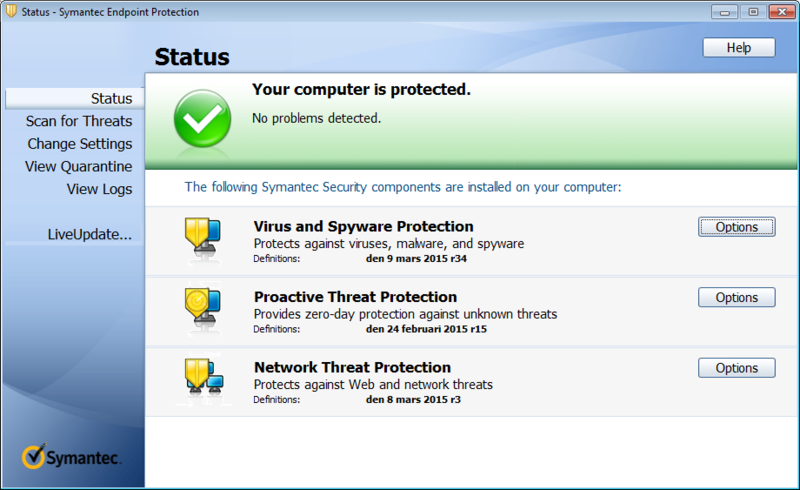 First, if the anti-virus program catches the virus, it is usually not a big problem and the infected file may have been put in quarantine. These instructions are mainly meant for Windows. Run LiveUpdate in SEP again. If there is a new definition now SEP might be able to clean up the file. Run Full Scan in SEP. 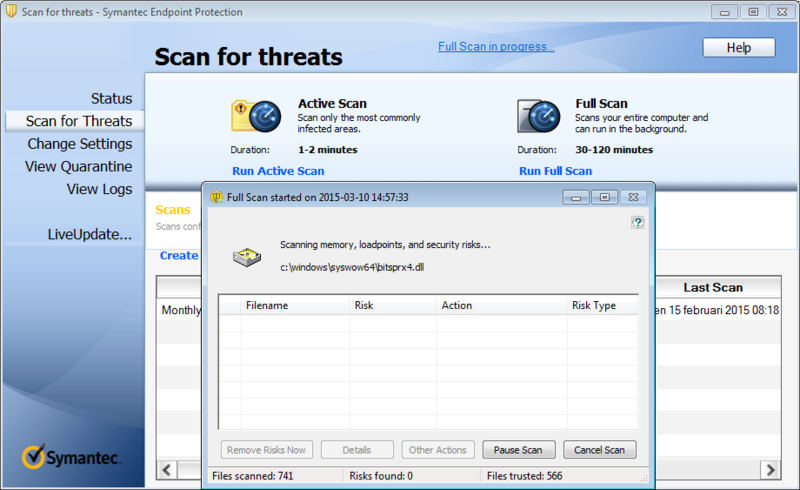 If the files are in quarantine, open with View Quarantine in SEP.
Download another antivirus tool. We recommend McAfee Stinger. Download a new version directly from McAfee which includes updated virus definitions. Do not download tools from unknown sources if you do not trust them. We seem to be safe. 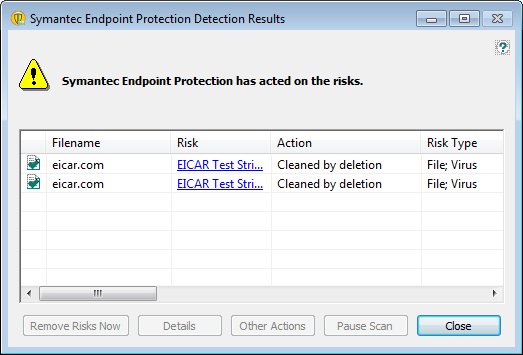 How do I enable and test the Symantec Endpoint Protection? 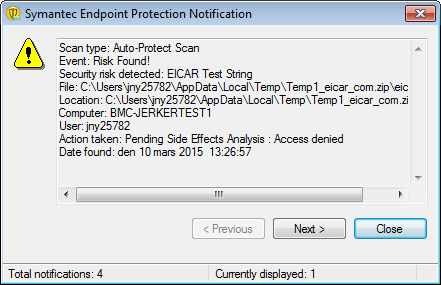 Test by going to EICAR site and download a test-virus. You may have to download the Zip to even be able to get it to your computer. SEP should print a warning message when trying to run the test-virus. How to fix the computer to be safe? Computers that have been running with a virus or trojan usually download a lot more trojans and viruses. It is really hard to clean them all. To be sure, reinstall computer. Contact helpdesk@bmc.uu.se for advice. How to do this the most efficient way depend on the computer and environment. For example, if all files are on the file servers then just reinstall computer. Get a new (or an other unused) harddrive. Replace the old harddrive with the new one. Install operating system and applications on the computer using the new hard drive. Copy files from the old hard drive to the new computer while checking them for viruses.